Tiffany D. Hill | Pidgeon & Hill P.C. Tiffany D. Hill fulfilled her dream of working as an attorney in the adoption field in 2011 when she became licensed to practice law. She earned her Bachelor of Science in Finance from Brigham Young University’s Marriott School of Management. Tiffany later received her Juris Doctorate from Phoenix School of Law prior to being admitted to the Arizona State Bar. Tiffany currently serves as the Treasurer for the Maricopa County National Adoption Day Foundation and has been involved with the organization since 2009. She is also a member of the Juvenile Division of the Maricopa County Bar Association and the Arizona Women Lawyers Association. 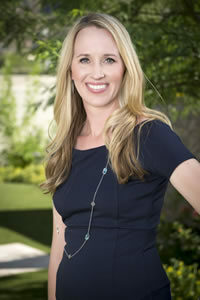 Tiffany is a Fellow of the American Academy of Adoption and Assisted Reproduction Attorneys.